On February 8th, the LA Sentinel posted an article about the History of Black Television as part of its celebration of Black History Month. The article tells a condensed chronology of important milestones in the evolution and progression of black actors and entertainers on television. Among the list of shows, of course, was I SPY. I’m not sure the writer truly understands and appreciates the significance of I SPYs impact on the portrayal of black characters on television and perhaps did little to no research about the show itself, or the time period in which it came about. At the time I SPY was conceived in late ’64, blacks and whites were not supposed to be considered equals. Jim Crow and so called “separate but equal” laws existed, particularly in the south where the mere idea of a black man being shown on television as EQUAL to a white was near blasphemy. Indeed, several NBC affiliates in the south refused to air I SPY when it first debuted in the fall of ‘65. The subtle displays of equality, things taken for granted now, were very significant at the time. Scenes showing Alexander Scott (Cosby) and Kelly Robinson (Culp) dining together, sharing hotel quarters and a wash basin together were part of the visual impact that was part of the “non-statement” statement Culp and Cosby made with the show. Color was not a factor in how the partners worked and lived together. Each had their strengths and weaknesses in physical and mental attributes that complimented each other. In fact, Scott was the Rhodes Scholar who spoke several languages and had an understanding of world history and cultures along with a mechanical aptitude that would have made MacGyver proud. Kelly, on the other hand, was the first to tell you that he was more often than not the dummy of the two. He wasn’t, necessarily, but if somebody was speaking a foreign language he always turned to Scotty for a translation. The first episode of I SPY, “So Long Patrick Henry,” written by Robert Culp, is a story of black characters not seen on television up to that point. Subsequent Culp penned scripts such as “The Loser” and “Court of the Lion” were also black stories not seen on the television prior. Cambridge obviously knew different. And if there had truly been no risk, why did affiliates in the south initially refuse to air the show? Simple. The image I SPY portrayed, the equal working relationship and friendship of Robinson and Scott, a white man and a black man, was powerful. I would hope that Ms. Buck, the writer of the article, will someday take some time to truly get to know I SPY, watch several episodes (I could offer some recommendations) and take a moment to learn more of the history of it and of the time period it was created in. Then perhaps she will understand that the standard I SPY set was NOT that “blacks are acceptable as long as they are partnered with white co-stars” it was that blacks were acceptable as strong, independent, intelligent, resourceful people regardless if they were paired with a white co-star or not. 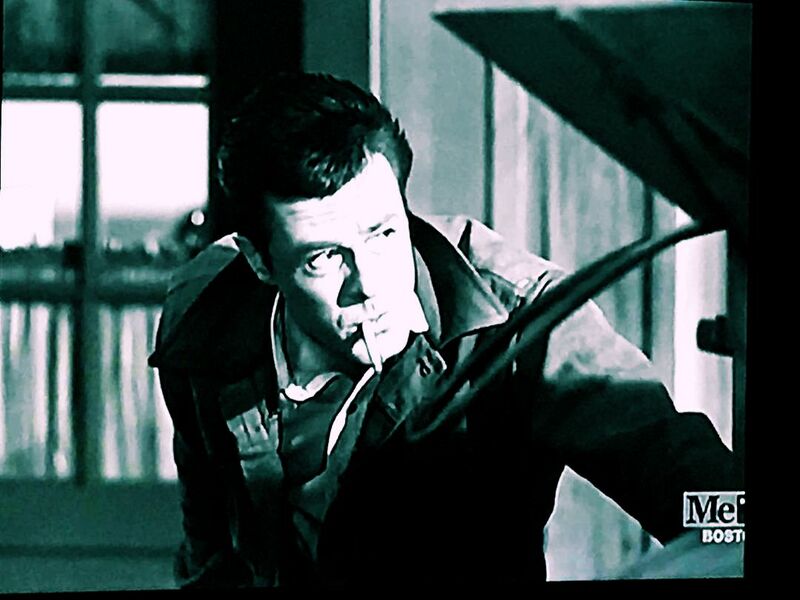 Robert Culp Has Not Left Your Television. And It’s a Damn Good Thing! With the return of Trackdown and The Greatest American Hero to TV screens it seemed appropriate to post an updated listing of where you can view these shows and others. Trackdown can be seen on MeTV and on Heroes and Icons. Check your local listings for times and availability. I Spy is currently not running on any television networks (although RetroTV still has a page for it on their website), but can be seen online via Hulu, Yahoo View and on the PROClassicTV streaming service. Yahoo View is free (with occasional commercials during the episode) while Hulu and PRO require subscriptions. However, in the case of PRO, individual episodes can be viewed for .99 a piece. The Greatest American Hero can be seen on Heroes and Icons and streaming on Hulu with subscription and for free on Yahoo View. Yes, the pilot episode is conspicuously absent from the online streaming services. You can also find two of Culp’s Celebrity Bowling appearances at the PROClassic site, the first from 1973 and one from 1975. Along with those shows are several shows that Culp guest starred on, such as Columbo (MeTV, Netflix), The Rifleman (MeTV, PROClassicTV streaming, Hulu and Yahoo View), Everybody Loves Raymond (TV LAND), Murder, She Wrote (COZI, Netflix) and many others. You can always check TV Guide’s online listing for upcoming episodes of shows featuring Culp. You can also check out JustWatch.com, which currently lists where you can find 17 Culp films and TV series’ that can be viewed online or purchased. I consider it my civic duty to warn you to NOT waste your money on National Lampoon’s Movie Madness. Just don’t. Trust me. The media seems to have turned its collective back on I SPY due to Cosby’s issues. Why doing so is an injustice. Robert Culp’s words, spoken nine years ago during his American Television Archive interview, seem to be becoming a self-fulfilling prophecy as of late. I SPY, the TV series Culp co-starred with Bill Cosby for three seasons, premiered on NBC 51 years ago last week, September 15th, 1965. Outside of TheConsummateCulp Facebook and Twitter feed and a Facebook page called I SPY, SPY SHOWS, you probably missed the notice in any news feeds on social media platforms. It appeared nowhere. Granted, 51 is an odd anniversary to mark, but several other shows that also premiered that same week in 1965 had plenty of mentions. I SPY was just not one of those shows. Then, this past Sunday night was the 68th Emmy Awards. Host Jimmy Kimmel did a cheap and cringeworthy Bill Cosby joke and the website Upworthy.com failed to mention the first African American actor to win an Emmy in their article on 15 Emmy nominees and winners who broke barriers. That actor, Bill Cosby, for I SPY, was not included in the list. And you know, I get it. Cosby’s being punished and I’m not saying he doesn’t deserve everything he gets. But I SPY, and all those associated with it, doesn’t deserve to be punished with him. I SPY was a ground breaking culturally significant milestone in television history that still matters. You can try to ignore it and bury it in light of Cosby’s loss of honor because it seems like the right thing to do. But to do so unfairly punishes so many others. Not the least of which is Robert Culp, who so believed in all that I SPY would represent for race relations if given the chance, he threatened to quit the show before it even started when NBC wanted to replace Cosby whom they didn’t favor due to his lack of acting experience. Or producer Sheldon Leonard, the man who originally envisioned the concept of the two man, black and white team of spies and also backed up Cosby. Or Fouad Said, the brilliant Egyptian born cinematographer, who met the challenge of I SPY’s around the world on location filming with innovative ideas and concepts that revolutionized television and film making beyond I SPY. Or Earle Hagen, who scored the show, writing a musical accompaniment for each episode, incorporating musical styles and flavors from the many exotic locations I SPY filmed. Or any of the people who worked on I SPY, from top executive producers, to the guest stars, down to the line crews and everybody in between. Bill Cosby’s transgressions makes it hard to celebrate I SPY and its place in television history. Believe me, I understand. But those transgressions don’t change history, nor does it change Robert Culp’s, or others, place in it. Because they did do it. And were it not for them, much of what came after them never would have happened. I SPY, which premiered 50 years ago this week on September 15th, 1965, ran for 83 episodes and if you think it was easy compiling a Top Ten list, you’d be mistaken. Most of those 83 could probably be easily shoved into this list. My handicap in trying to come up with a list on my own is the fact that I have not seen all of season three. So I put the question out to other fans on Facebook and over at the I SPY FORUM to try to come up with The List of the 10 best I SPY episodes. These would be the ones that just stick in your mind, the ones that if you were introducing someone new to the show you would have them watch, the ones that had the best story lines, the best performances, the best use of exotic scenery, the best score by Earle Hagen – and more often than not, all of these elements would be in the same episode! I SPY’s original pilot episode, “Affair in T’Sien Cha,” was already in the can, promo photos were being used by the press but NBC wasn’t happy with it. They decided not to go with “Affair” and instead, selecting from other episodes completed, they picked this one to set the tone for the series. And they couldn’t have picked a better episode. Written by series star Robert Culp, the episode features Ivan Dixon (Hogan’s Heroes) as a disgruntled US Olympic athlete who defected to China after the ’64 Olympics. Appearing to not be happy with his decision after a year, the US government is prepared to offer him a chance to come back and Scotty and Kelly are sent to deliver the message. The episode has a great mix of drama and comedy and overwhelmingly succeeded in starting the series off on the right foot. Kelly falls for a freelance photographer, Tatia Loring, who Scotty suspects is an enemy agent. Nearly everyone Tatia has ever photographed has ended up dead. Kelly’s feelings are strong and he doesn’t believe his partner – to the point they have a knock down drag out fight over it. Set in Japan, the episode showcases the Japanese scenery and backdrops beautifully and has an excellent mix of romance and angst. Prior to taking the role of Kelly Robinson in I SPY, Robert Culp had written a script for a pilot for a potential spy series called “Danny Doyle.” That script was reworked and became this episode. Kelly is sent on a dangerous mission to Vietnam to locate a philanthropist doctor who has gone into hiding. The doctor’s daughter, Sam Than McLean, a US government agent herself, is captured by the enemy in order to lure the doctor out. Scotty waits in the wings to assist in picking Kelly, Sam and her father up but they are under a desperate time table – the US Airforce is set to bomb the area whether Kelly and all make it out or not. The most dangerous thing Kelly can do is get bored. And he does in this episode which prompts him to challenge Scotty to “find” him. The game would be fun, except it takes on a serious turn when Scotty finds out that the knife wound Kelly suffered prior to the challenge has exposed him to anthrax. Meanwhile, Kelly befriends a young Mexican boy who accompanies him through the “game.” Kelly, however, gets sicker as the challenge goes on but refuses to let Scotty find him and it’s up to the young boy to be Kelly’s salvation. What did I say about Kelly getting bored? This time he’s hanging out by the pool of the hotel he and Scotty are staying at when he spots an attractive Italian girl. She turns out to be bait for a set up and Kelly is held against his will by the family of a man who was killed during the Korean War under Kelly’s command. Kelly is accused of having shot the man in the back and is placed on trial by the family. If convicted, his sentence is death. Sheesh, you’d think Kelly would be more careful of beautiful women by now but…nope! This time it’s an Italian tourist guide (Barbara Steele) who sets him up so she and an accomplice can retrieve information on other agents and take them out of circulation. Scotty and Kelly’s set ups for contact with other agents are super secretive and the loss of the agents starts to make Scotty and Kelly suspicious of each other. Quite possibly the most disturbing opening for television at the time, we see Kelly chained to a medieval rack, stretched. Subsequent images follow, making it clear that Kelly has been tortured. We then see him in a hospital, recovering – and that’s all before the opening title sequence. He’s given a 30 day vacation but at the same time the Department thinks he’s damaged beyond repair. While on break, Kelly is happy to meet an old friend but the enemy agents who tortured him have found him too. Culp’s performance is fantastic as the nearly broken Kelly, who flinches and cowers much too easily after his ordeal and falls to his knees in tears when he’s brought back to the torture chamber for the second time. Kelly befriends Don Silvando, a scientist (Boris Karloff), in Spain and with Scotty must convince him to work for the US. (The Communists are attempting the same but when their agent fails to befriend the scientist they just try to go with force). When Kelly and Scotty offer to drive with the Don to Madrid they discover that his car is full of books – hundreds of copies of all the same book, Don Quixote, in multiple languages. The Don loves the story so much, and has been under quite a bit of strain as of late, along the way to Madrid he has moments of hallucination and thinks he is Don Quixote. The Don saves a damsel in distress, battles the windmills and inadvertently releases a truck load of prisoners. Sam McLean (seen previously in The Tiger) whom Kelly has fallen for is shown to be having an affair with a vicious dictator currently in exile. The dictator plans to return to power with help from the Soviets in exchange for allowing missiles to be based in his country. Kelly and Scotty must find out what he’s up to, stop him and if need be, destroy Sam for her traitorous ways. But is she really a traitor? Consistently a top choice among fans as a favorite, I think I can safely assume that if any I SPY fan were to be stuck on a desert island and could only take one episode with them, this would be it. Kelly and Scotty blow an assignment and escape from the criminals they had been in pursuit of who are now in pursuit of them. The boys seek refuge on an old farm that turns out to be Kelly’s aunt and uncle, whom he hasn’t seen in years. Not wanting to bring heat down on his family, Kelly and Scotty figure to move on as quickly as possible but are caught by Kelly’s Uncle Harry as the bad guys are closing in. Kelly is abducted by a Russian scientist (Carroll O’Connor, totally NOT Archie Bunker here) and brainwashed into believing that Scotty is a traitor and must be killed. Kelly is controlled by light reflecting off a mirror and when he fails to kill on the first attempt, the department writes him off and wants him destroyed. Scotty doesn’t believe his partner has deliberately gone rogue and manages to finagle 48 hours to bring Kelly in or otherwise dispatch him himself. Kelly woos a Russian ballerina in order to try to find out who in the ballet company is passing information. He wakes up in a seedy hotel in Spain, the ballerina dead and he unable to recall what’s happened. Colonel Benkovski of the KGB gives Kelly and Scotty approximately 12 hours to figure out what happened and who killed the ballerina before taking the matter to the Spanish authorities. A Central African country, recently independent thanks to the Communists, has been receiving arms shipments from the same. Scotty is assigned to befriend an embassy clerk who has access to the information but the assignment becomes complicated when he develops genuine feelings for the woman. Scotty loses contact with Kelly for 10 days eventually finding him on a Greek isle, literally enjoying wine, women and song. Kelly claims he’s quit the service, has taken up light housekeeping with a pretty Greek girl and dances at the local tavern smashing plates over his head. Scotty suspects something’s up and when he’s jumped by two thugs who work for Sorgi (Sheldon Leonard, previously seen in “Three Hours on a Sunday Night”) he has no doubt. Kelly’s dependence on Ouzo isn’t by accident. Think there’s an episode that should have been on this list? Let me know in the comments below! When my friend casually tweeted “What should I write about,” I spent forty five minutes trying to convince him why I Spy should be remembered in its fiftieth anniversary year. The 144 character conversation ended with him apologizing that he couldn’t because of “the Cosby thing.” And therein lays the problem. We’ve known about “the Cosby thing” since 1997, but it’s social media for better that has convicted him and for worse condemned innocents who didn’t know they danced with a demon. Though every book of faith warns against worshipping false idols, Bill Cosby was always considered safe to worship because he was one of the “good guys.” He is an educated, self-made man, with a loving wife and family. He is also funny as all get out. I switched tenses to describe him because he is still all of those things, though now we understand he is another character played by William H Cosby, Jr.
Now we understand this man may be one of the most dangerous psychopaths we have ever known. There is no negating what he has done. Countless women were victimized daily by him: at the time of the initial “seduction” when he got them to trust him, at the moment of the violent act, and every day thereafter when these women were denied their rightful justice because no one could believe that Alexander Scott / Fat Albert / Cliff Huxtable could do this. Because we forget that actors are not their characters. There is no question he needs to be punished. The Statute of Limitations must be done away with when it comes to sexual crimes, so the victims can come forward when they have made a safe place for themselves to do so. Perhaps that may be his final act for us, to be the impetus for such legislation. In the meantime, the only recompense these victims have is knowing he is guilty in the court of public opinion, and maybe in civil court. Perhaps that will help them; it will not hurt him. Psychopaths cannot be hurt because they cannot feel. But in the void of his lack of feeling are pawns who find their collective legacy being wiped out by his. I Spy was one of the few correct and true things NBC has ever done. The nation needed to see in a non-proselytizing manner that all men are created equal. We were given in a weekly fifty minute non-statement, two men literally equal in size and stature sharing a meal, a room, a mirror, a bathroom. Nothing mattered as long as they got the job done and had fun. The end. This steady dose of Kelly Robinson and Alexander Scott walking side by side, living life together was absorbed subliminally and obviously and hearts began to change. Self-doubt about whether it was really OK to sit next to your classmate and eat off each other’s plates, finish their drinks, go camping with them, was obliterated. Ninety episodes later Alexander Scott made it clear to young men they no longer had to fear being the nerd who had done so well scholastically because being so didn’t negate your ability to be a man. To be a good human being. Mr. Sulu and Lt. Uhura would not have journeyed through Star Trek without Alexander Scott. Martin Riggs and Roger Murtaugh would not have their Lethal Weapon without Alexander Scott. Without I Spy and executive producer Sheldon Leonard’s desire to film the series in those exotic locations the script called for, there would have been no reason for Fouad Said an Egyptian American, to create many of the technical advances that made filming on the big and small screen much easier. Said gave us the Cinemobile, the wireless mike, among many other improved or completely new devices. Filming for TV and cinema didn’t just move forward, thousands of dollars were saved making overseas filming possible when costs would otherwise have been prohibitive. This equipment also threatened to push out the antiquated cameras, lights, mikes, and men that had been Hollywood staples for years, and no one was happy about that. For most of the time I Spy was filmed Said could not join the unions you would have expected him to be a highly valued member of. That came only as the series was ending, as did other breakthroughs. 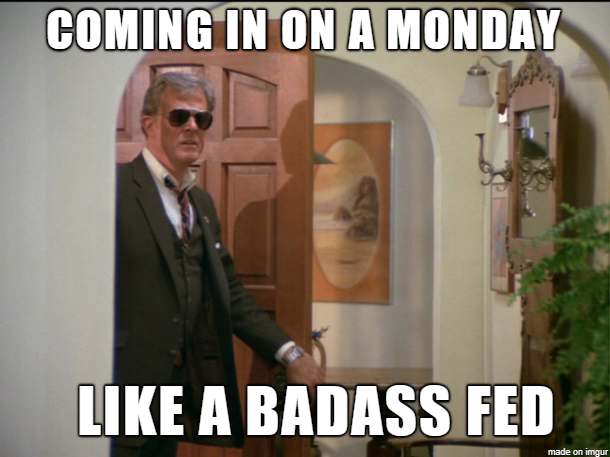 Robert Culp made Clint Eastwood and Ben Affleck possible. Culp was one of the first actors who also wrote and directed his own material, and ticked off many suits in the business for doing so. He took the first generation of anger so the second and third generations win their Emmys and Oscars. And when Alexander Scott appeared on our television screens, the words that came out of his mouth were the best Culp could make possible. When Cosby won his Emmys, Emmys Culp was nominated for, the latter didn’t mind. It was a win for him, for the show, for humanity. Remember and celebrate the series for what it has given us. Removing it from the airwaves, trying to wipe it from our collective consciousness, does not in any way harm a predator. We are harming ourselves because we are forgetting how we got to where we are. I Spy didn’t gently break through glass ceilings of stereotypes. It took a jackhammer to the concrete nonsense that Hollywood created to make itself pretty and in the chaos created true beauty. Its crew did this. Its writers, directors, musicians and producers did this. Its actors and actresses did this. It did this when the country wanted to bury its collective head in the sand and pretend all was well when it knew change had to come but was too painful to look at. I Spy did all of this and can do it again if we allow it to. One truly disturbed individual cannot be permitted to undo it.